2The same results would occur after an issue of bonds, though the arguments would be less easily presented. receive her desired net cash flow of $110 - 10 = $100 at Date 1 and $89 + 11 = $100 at Date 2. Conversely, imagine that an investor Z, preferring $110 of cash flow at Date 1 and $89 of cash flow at Date 2, finds that management will pay dividends of $100 at both Dates 1 and 2. This investor can simply sell $10 worth of stock to boost his total cash at Date 1 to $110. Because this investment returns 10 percent, Investor Z gives up $11 at Date 2 ($10 X 1.1), leaving him with $100 - 11 = $89. Our two investors are able to transform the corporation's dividend policy into a different policy by buying or selling on their own. The result is that investors are able to create a homemade dividend policy. This means that dissatisfied stockholders can alter the firm's dividend policy to suit themselves. As a result, there is no particular advantage to any one dividend policy the firm might choose. Many corporations actually assist their stockholders in creating homemade dividend policies by offering automatic dividend reinvestment plans (ADRs or DRIPs). McDonald's, Wal-Mart, Sears, and Procter & Gamble, plus over 1,000 more companies, have set up such plans, so they are relatively common. As the name suggests, with such a plan, stockholders have the option of automatically reinvesting some or all of their cash dividend in shares of stock. In some cases, they actually receive a discount on the stock, which makes such a plan very attractive. 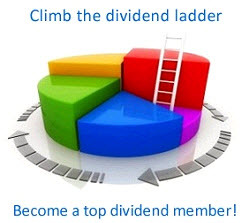 The tailored dividend policy created by individual investors who undo corporate dividend policy by reinvesting dividends or selling shares of stock.